The Magpies Nest overlooks the Murrumbidgee River with sweeping views across the vineyard and olive grove, just five minutes from the Wagga Wagga CBD. With over 15 years’ experience we are able to give as little or as much assistance that you need whilst also offering a beautifully unique backdrop for your event. Our aim is to make the journey towards your event as simple as possible, with our event coordinator on hand to assist in all aspects of the planning process. This way you can utilize our vast knowledge and experience as we can assist you in choosing from the fantastic vendors available in the Riverina. The Magpies Nest is the ideal location for weddings up to 140 guests. Offering exclusive use of our 20-acre property for your special day including our purpose built ceremony area, we are able to give your guests a truly rural wedding experience. 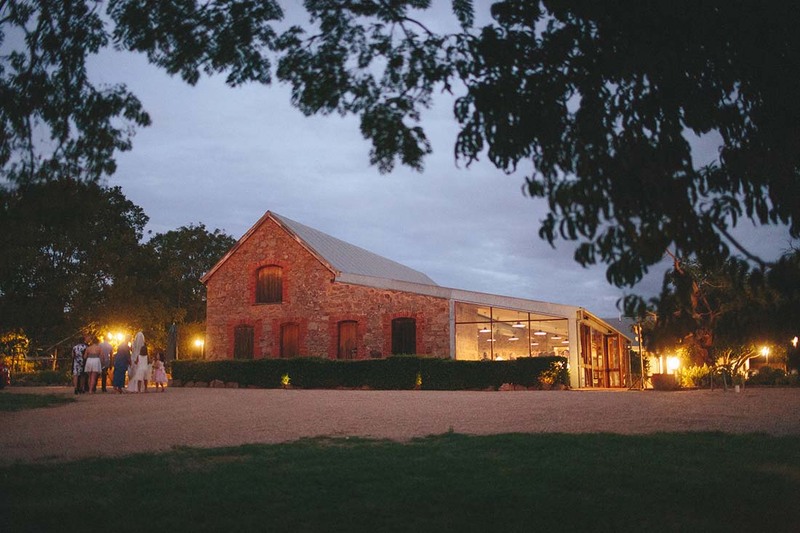 With the advantage of choice to have both ceremony and reception in the one place, guests are free to meander through the gardens and enjoy a drink and nibble whilst you wander off for photos around the property, whether that is down to the vineyard, olive grove or in and around the historical stable. Wireless microphone. Screens and projectors can be arranged at a cost.